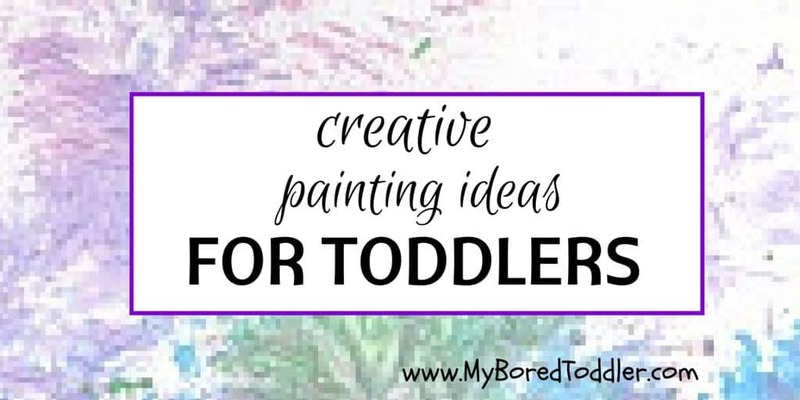 Do you struggle for toddler painting ideas? 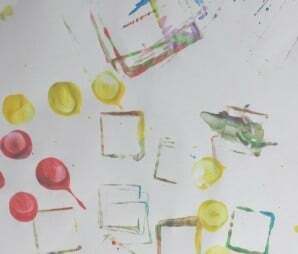 With painting being an activity that almost all toddlers love to do, it can often be tricky to try to vary the activity. 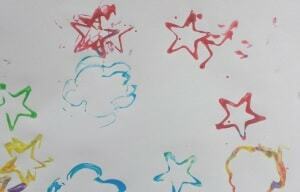 This month we ditched the paint brushes and experimented with 10 different toddler painting ideas – all of them looked great, were lots of fun and you should have most of these items at home. The take home lesson from this week was to be creative and don’t be afraid to experiment. For all of these paintings I used a large roll of butchers paper which has been a great investment. At the end of the month we ended up with a LOT of paintings so I put these away to use as wrapping paper (add a ribbon and it looks amazing). 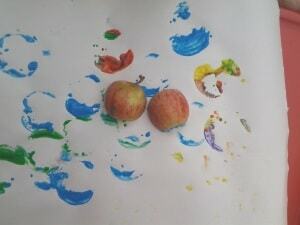 We decided to paint with apples after reading The Very Hungry Caterpillar and it worked really well. Cut the apples in half and off you go! I would love to extend this activity and paint with all of the fruit in The Very Hungry Caterpillar series. I love painting with rollers. I have these in my craft box, but you can buy them from most craft or dollar stores quite cheap. They make a really great effect and I’ve used them for lots of our craft activities like our paper plate birds. No one has a toddler and doesn’t have some form of blocks or lego laying around. For this activity we used Mega Bloks. The best thing about this painting idea is that there are so many different block shapes to use. Flip them upside down and you can print with the circles on the top as well. 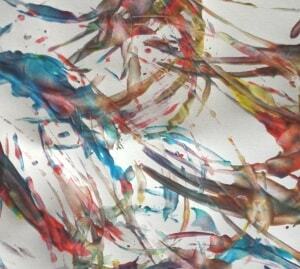 For this toddler painting idea we used an old bottle brush. I was really impressed with how well this one turned out and my daughter had lots of fun with it. It created a great textured effect and is one painting method that I’ll definitely be experimenting with again. I’ve posted about Cotton Reel Painting before, but it is a great painting method, as they can stamp with them and roll them to create a variety of patterns. Cotton reels are such a versatile tool for toddlers that if you don’t have them at home you really should invest in some. We experimented with the leaf painting idea as part of Autumn/Fall activities and the effect was great. 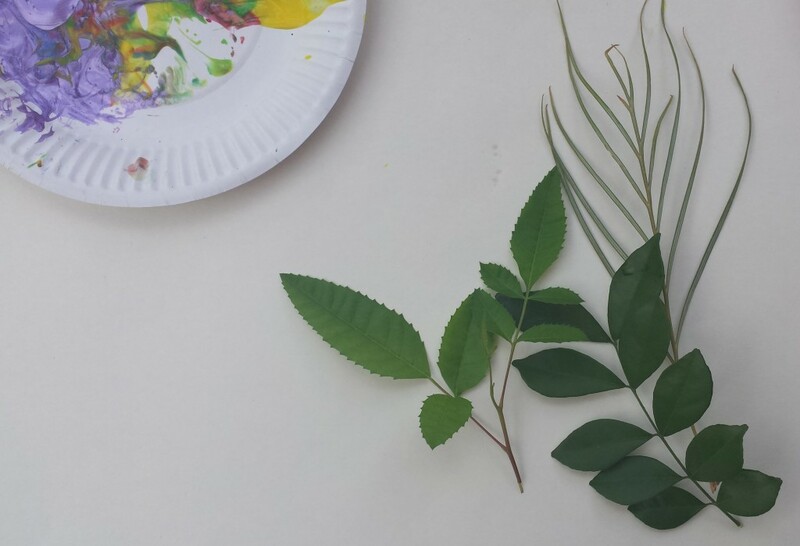 We used leaves from the tree in our backyard, but you could create some amazing paintings by collecting a variety of different leaves and experimenting. 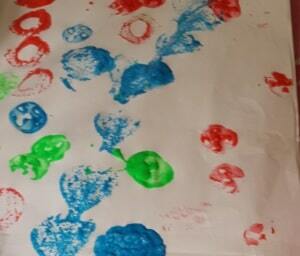 This effect was created by stamping some of the leaves and dragging others through the paint. 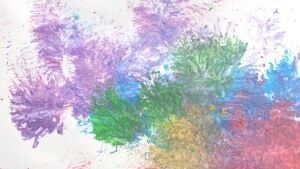 There are no rules – give your toddler paint and leaves and see what happens! 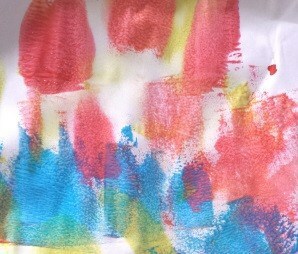 We couldn’t talk about toddler painting without including finger painting. No instructions needed here I’m sure! This one does get messy so grab the wipes and get ready! Playdough tools are definitely well used in our house, as we make our own playdough all the time. 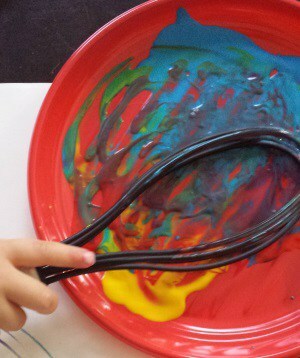 We’ve also used the playdough tools for cooking (they make great cookie cutters) and today we used them for painting. I love using this method to make home made wrapping paper – grandparents love it! Who knew that you could paint with soda bottles! In fact we even used ketchup bottles. If you look at the bottom of your soda bottles you can see the different designs. They make great prints, so go through your recycling and see what you can find! For this cool painting effect we used a plastic whisk that we never use. This created some great patterns and was a lot of fun. Definitely worth a try! I hope this has given you plenty of toddler painting ideas. 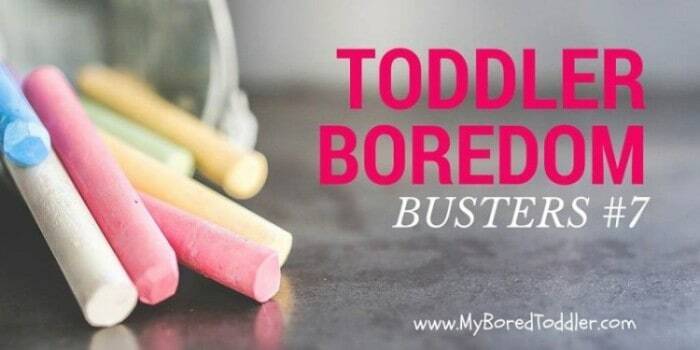 Hopefully this will keep your little ones from being bored for quite a while! If you would like more painting ideas you can find our sequel to this series, EVEN MORE creative toddler painting ideas here! Amazing ideas, Boo and I are definitely going to have to give these a try!! These are great ideas! I especially like the patterns the bottles make. I have only really just started doing crafty bits with Elsa because she wasn’t really interested before so I will have to remember all these things to try. Lots of good ideas to get creative. 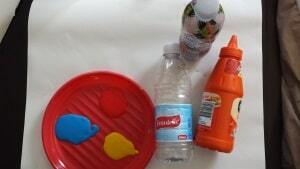 The soda bottle painting looks very pretty, we must try it. Great ideas here and will be giving some of these a go. 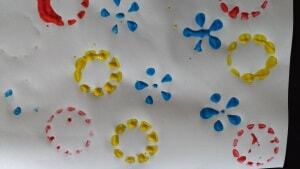 We’ve used the playdough cutters before and also tried printing with a potato masher which was fun but there’s a few ideas here that I haven’t tried. I like the idea of using butchers paper – we often use lining paper but it is a bit too thick to be good for wrapping paper so maybe I’ll have to get some butchers paper instead. 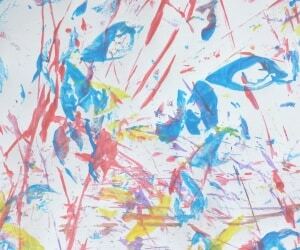 these are great ideas, I use my toddler paintings As wrapping paper as well! The plastic bag idea sounds great! I think the key is to use whatever is around you. Such great ideas, I love using unusual objects in our activities. Thanks Ashleigh, I’ll have to check out your link up! You’ll have to share a photo if you paint with them! Such great ideas! Can’t wait to give these a try with my little one! Great idea – off to check it out now! great ideas! Pinned to our paint board! Thanks, Glad you liked the ideas! These are some great painting ideas!